Healthcare providers looking to increase revenue, improve office efficiency, and earn patient loyalty are increasingly leveraging telemedicine. We are fortunate that many turn to Chiron Health as their technology partner. 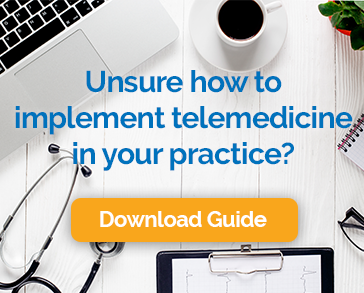 We get a lot of thoughtful questions from providers considering adding the option of video visits to their practice. Some of the most common are related to privacy and security concerns. HIPAA compliance, in particular is a subject of great interest. Here are answers to some of the questions we are most commonly asked. How Does HIPAA Apply to Telemedicine? The same requirements for patient privacy and confidentiality that apply for in-person visits apply to visits conducted over video. The provider has the same responsibility to protect patient information, and storage of electronic files, images, and video needs to be approached with the same amount of care given to paper documents. Do Services Like Skype and Facetime Comply with HIPAA Standards? No. Consumer grade services to not support HIPAA compliant video conferencing because they are not encrypted. Fortunately, there are solutions designed specifically for the purpose of providing secure telemedicine services that are as easy for patients to use as the applications they already know and love. Do Technology Providers Store Video Visits? They shouldn’t. Transmission storage on the part of the provider creates a dangerous risk to the security of patient data. Under HIPAA rules, a business associate is an entity or a person that performs activities on behalf of a covered entity (the provider). Transcription services, attorneys, and accountants are all examples of Business Associates. Technology vendors that provide video conferencing services are also considered Business Associates. In most cases, HIPAA requires that the provider and business associate sign an agreement to ensure that all protected health information is treated with the same precautions by both. Reputable telemedicine technology providers are happy to enter into such agreements. Peer-to-Peer networking is a type of internet connection that ensures that the contents of communications are protected and the identities and locations of the participants are concealed. In telemedicine, this type of networking offers the best assurance that patient privacy will be protected and HIPAA standards will be met. How Do Providers Overcome Privacy Concerns Expressed by Patients? Patients, rightly, have questions about the security of video visits. Providers can help ease concerns by educating patients about the precautions that they and their technology partners take to protect health information. Assuring patients that the technology is purpose built for use in this context goes a long way to alleviate their fears. The protection of patient information should be a key consideration for any new technology adopted by medical providers. Fortunately, it does not need to prevent practices from offering video visits as an alternative to some in-person appointments. By selecting a solution with built-in HIPAA features, providers can gain all of the benefits of offering telemedicine while knowing that the exchange is secure and compliant.